Entrepreneurs are polarising the longevity economy and ignoring the massive middle. In the past, whenever I mention business opportunities associated with the ageing demographic, minds immediately gravitated toward to ‘old, old’ segment. For example, assisted living, medical devices and the like. 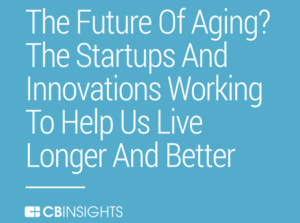 Now there’s a competitor for investment attention, companies that are seeking to discover the key to longevity, or living a longer life. For an update of what’s going on in this area, check out this solid report titled The Future Of Aging? by CB Insights. An enormous amount of investment will inevitably be spent on exploring these innovations. At the same time, money continues to pour into the elderly care segment. We older, healthier folks still need to be clothed, entertained, educated, transported and fed like everyone else yet the marketing world remains stubbornly blinkered to the Millennials and younger consumers. When will they learn there is another way. Understand the needs of the older person and adapt the touch-points of the customer journey to make it a better experience for customers regardless of their age!